Owning a business can be creatively draining. Either you are creating all the time, and you lose creativity, OR your business removes your creativity because you don't get to create enough in your business. Either one of those situations can be damaging to your business. 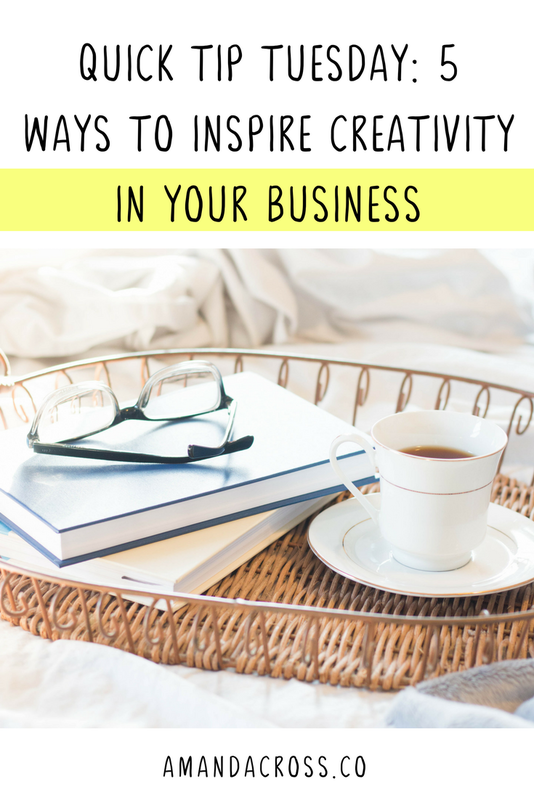 Here are some ways to inspire creativity in your business so you can get back to sharing your incredible talents with the world. It's easy to spend all your time creating in your office because that seems like an obvious place to create content for your business. What if you changed it up a bit? Lately, I have been going outside around sundown to work for about an hour. I can feel the sun on my face, and the wind rustles around me. Just getting out for a little bit each day is helping me calm down and create some great content or decompress for a little bit. Another great way to inspire some creativity is to read a remarkable book or an article. If you don't have time to read a book, you could always purchase an audiobook from a website like Audible. Read books related to your industry, memoirs, self-help books, anything that might inspire you to think and live a little bit differently. Don't go for the basic books, go for the ones that challenge you and that have great ratings online. Try to read at least 1-2 books a month. Then for extra reading, find a couple of blogs in your industry that you adore. Subscribe to them using a tool like Feedly to keep all your blogs and websites in order. Once you compile that list of blogs, you can continue to read them for inspiration. If reading books isn't enough, find some inspiring talks that you can listen to. You can check out these talks by going to actual events, or you can even just look up TedTalks online or listen to some inspiring podcasts. Whatever your method of listening to speakers is, get out there and find some speakers that you resonate with. Find people who will help you see the world differently. If you can attend events or conferences, those are always preferred, because those multi-day events can speak a ton of creative inspiration into your life. It's something about how they plan the events and activities so that you always leave those events feeling like a million bucks. Creativity is often like a muscle. You can't expect to inspire creativity in your business if you are inconsistent or shady with it. Whether you write a 3,000-word article, sketch on your canvas as the beginning of a painting, or practice piano for an hour. Creating something, no matter how small, will help you stretch your creative muscle. Try to do this even when you aren't creatively inspired. If we all waited until we were "inspired," creative things might not ever happen. Push through those feelings you have of not wanting to create. See what happens when you make yourself put pen to paper daily. You just might surprise yourself. Last, but not least, you should make a habit of clearing your mind as much as you can. Often we have all these extra things clogging up our brain power that make it hard for us to focus. You should take some time when your brain feels extremely clogged to do some brain dumps. There is no particular time when you should brain dump. Try to do it when you feel the need to do so. Some people brain dump once a week or once every couple weeks. Hopefully, with these five tips, you are ready to inspire creativity in your business. Creativity is vital so you can connect with your audience, create stellar products, and move to the next level in your business. I would love to know: what tips do you have for inspiring creativity in your business and everyday life? So you want to be consistent with content marketing, huh? Today's Quick Tip Tuesday post is all about helping you set up the systems in your company's content marketing practices, so you can stay consistent and keep getting a budget for content marketing. If you want to remain consistent with content marketing, you need to start with a fantastic foundation. Before you launch your business blog, have a month of blog posts ready to go. This is an excellent practice because it helps you focus on the initial promotion and audience building that you need to succeed in content marketing. You should be creating content during this time, but this will help you make sure you aren't flying by the seat of your pants during your first month. Blog Post Outline Template: Maybe you will be doing a few main types of content (we talked about a bunch of content ideas last week). Go through those content pieces and create outlines that you and your team can follow as you outline each article idea. Content Upgrade Templates: Content upgrades are a great way to add new email list subscribers. Maybe you want all of your e-books, email courses, etc. to look the same. If so, create a template for those pieces of content. Blog Post Image Templates: Your Pinterest, Facebook, Instagram, etc. promotion images should be plug and play. You shouldn't have to recreate pictures over and over. Create image templates that you can go into for every blog post and update without overhauling the entire look of each post. Blog Promotion Strategy Template: As we will talk about in a minute, your promotion strategy is critical. Create a template for blog post promotion that anyone can follow whether you do it, or you hire someone else to do it. You and your team don't have to write every piece of content on your blog. If you have built a pretty engaged following, you can begin asking for guest posts and utilizing user-generated content. 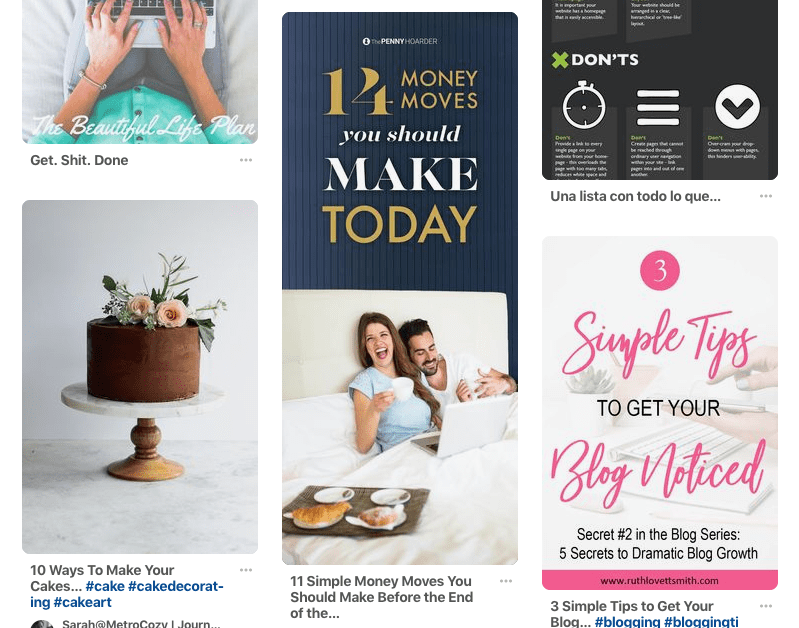 This is a great way to fill up your content calendar with roundups of customers and guest posts from influencers in your niche. Make sure that anything you publish lives up to the content that you would typically publish on your own. 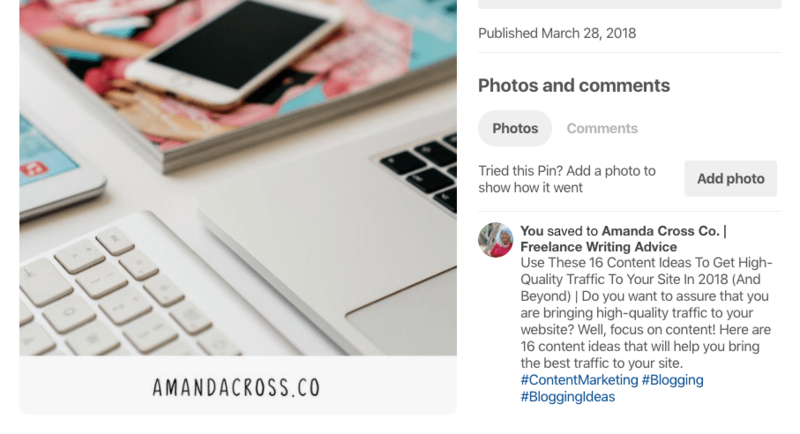 Many guest posters want to get as many posts out as possible so they can get backlinks, but this does not always equate to valuable blog content! Having a freelancer or remote contractor can help you stay consistent with content marketing. You may be paying a freelancer to create content for you, but if you promote content the right way, you can make a lot of money and grow readership from each freelancer written post. So, how does a guest poster differ from a freelancer? Well, for starters, you pay freelancers. Freelancers are often more loyal, and you don't always have to give them a byline on your website (unless you want to do so.) Guest posters have a motive to post on your site; they want to get a backlink to their website! Freelancers have the motive of getting paid and helping you produce content. Ultimately freelancers are great because they value content for your site over creating content that would appeal to both your audiences like a guest poster would. Most guest posters won't become regular contributors unless your site is bringing them a lot of page views. You pay freelancers, and hopefully, you can create a long-term relationship with them. A freelancer (or set of freelancers) can take over the entirety of your content production. Then all you have to do once you get your posts is edit, create pictures, schedule, and promote them. If writing is not in your wheelhouse, this ends up being the perfect relationship! If your company wants to hire other freelancers, they can take over the entire process from writing to content promotion. It's all about who you hire! I offer freelance writing services, check out my hire me page to learn more about my services, and let's chat if you think we'd work well together. You will be more consistent if you get actual results from your content marketing strategy. People who benefit from content marketing will want to continue content marketing. If your content marketing strategy isn't working, it's hard to convince your boss (or yourself) that you need to put money, effort, and energy into building a content strategy! So, you need to find ways to promote your content. 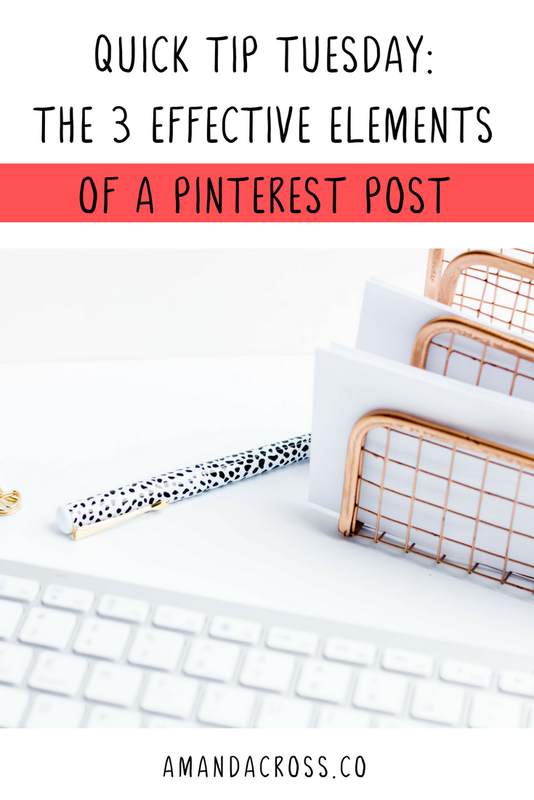 I suggest looking into Pinterest marketing and building your email list. I adore the courses Pinfinite Growth and List Surge from Melyssa Griffin. Both these courses have helped me grow my presence online, and I know they can help you too! 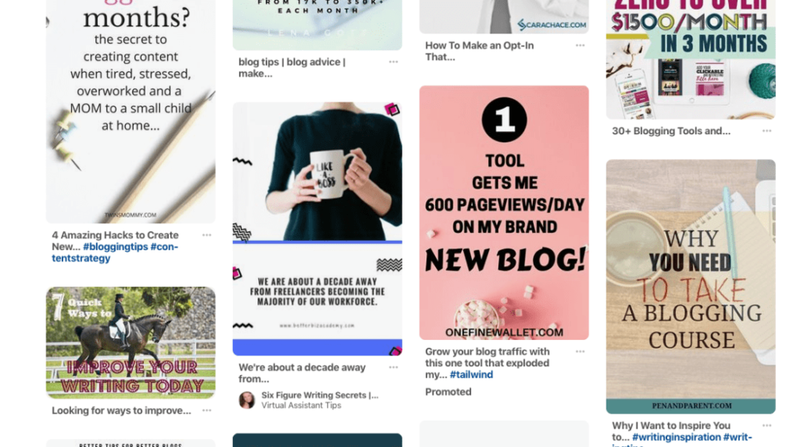 The strategies I learned in Pinfinite Growth helped me build my Pinterest profile for The Happy Arkansan to 9,000+ followers! Once you have a booming email list and a Pinterest profile that works for you, you will be well on your way to getting results that keep you motivated to write! You should not sign your company up to produce three blog posts a week if you cannot currently deliver that much content. Keep it simple. Start with one fantastic article a week and work your way up as you can produce more content. Make sure that that article knocks it out of the park. You want your company to become a thought leader in your niche, and you can do this by creating excellent articles, even if you can only produce one piece per week. Some companies in your niche may be able to produce more content, but you shouldn't worry about them. Keep your eyes on your prize and keep working until you can get where you need to be. If you want to be consistent with content marketing, you need to create a great foundation and build from there. Content marketing will ignite your business if done correctly, so take your time when starting a blog for your brand.